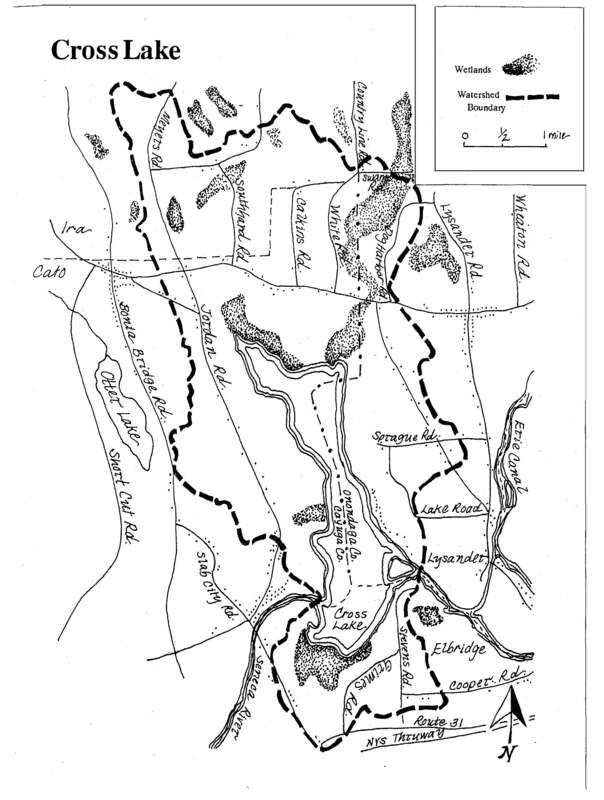 The State of New York channelized and developed the Seneca River as part of the Barge Canal in the early 1900s. The Seneca River flows 15.3 miles through Cayuga County from Cayuga Lake to Cross Lake through the Towns of Aurelius, Montezuma, Conquest, Mentz, Cato and Brutus. It is part of the New York State Canal System and the New York State Canal Corporation controls its water levels as part of the Oswego River Basin. The Seneca River carries the water discharges from Skaneateles, Owasco, Cayuga, Seneca, Keuka, and Canandaigua Lakes into Cross Lake. The Seneca River flows west to east through the south end of Cross Lake. 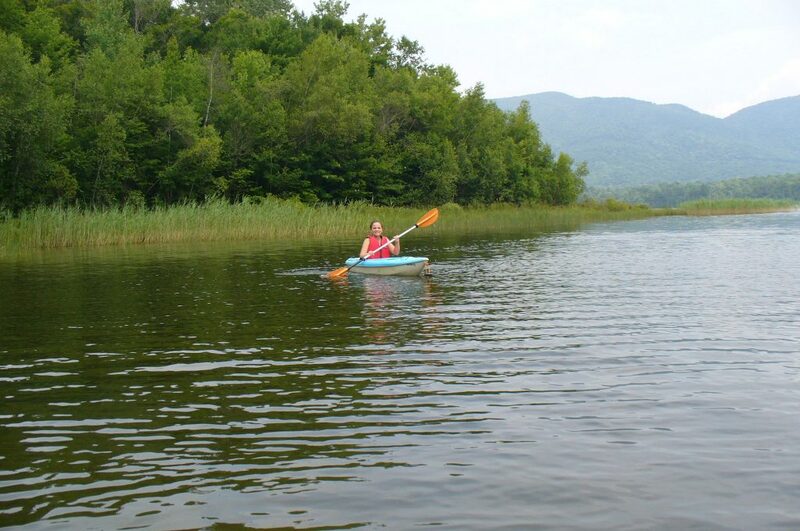 Cross Lake is a relatively long narrow (north-south) lake and it has a flushing rate (the average time required to completely renew a lake’s water volume) of 51 times per year. The river contributes 98 percent of the lake’s inflow. The Seneca River receives a considerable amount of runoff and carries nutrients and sediments into Cross Lake where they are deposited. Cross Lake is considered hypereutrophic (extremely rich in nutrients and minerals) due to the large amounts of phosphorus it receives from the Seneca River. It also has a tendency to flood since it is located downstream of the six Finger Lakes that release water into the Seneca River. Towns adjacent to the Lake: Town of Cato in Cayuga County. Towns of Elbridge and Lysander in Onondaga County.